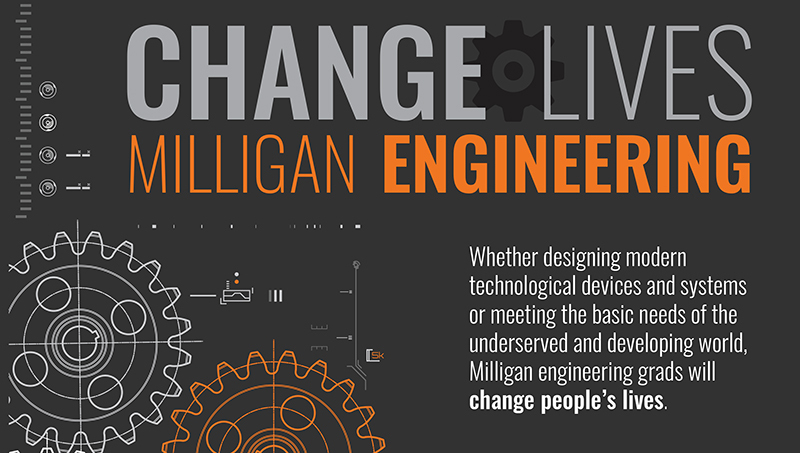 If you want to change people’s lives, the Milligan engineering program will help you do it. 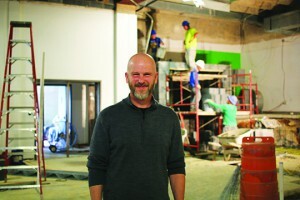 Whether designing modern technological devices and systems or meeting the basic needs of the under-served and developing world, a Milligan engineer grad will have a unique preparation of sound engineering theory and application, grounded in a liberal arts curriculum, all taught from a Christian worldview. And we’ve got the support and backing of major industry players who can’t wait to hire Milligan engineering grads. Ready to change people’s lives? A team of freshmen, with the help of Harrell and Electrical Engineering Professor Dr. Jeff Giesey, are utilizing the college’s iconic 80-year-old water wheel in Buffalo Creek to construct a small, sustainable water purification system with a big goal. Learn more. The heart of engineering is often described as “design,” and, at Milligan, engineering education provides multiple opportunities for students to practice design in a multi-disciplinary environment. 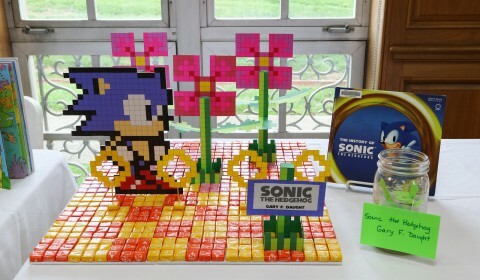 This is a “hands-on” educational experience. Engineering at Milligan is a four-year program, but students may opt for a fifth-year in order to complete a Co-Op Program. Graduates can begin work in the engineering field or enter into graduate studies. 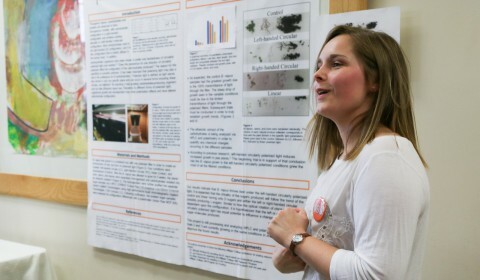 Milligan engineering students receive a rigorous preparation in science and mathematics in the context of the Milligan liberal arts curriculum. This foundation enriches engineering and technology components with an understanding of culture, arts, and the humanities, and encourages students to see how all subjects—and technological solutions—are interconnected. This traditional four-year program offers small classes that provide close attention to student learning, progress, and success. Our industrial partners provide many opportunities for engineering internships and co-ops. Mechanical Engineering (ME) focuses on machines, structures, devices, mechanical systems, and energy conversion systems. It is the broadest of all engineering disciplines, and encompasses areas such as energy, fluid mechanics, thermodynamics, mechanical design, manufacturing processes, robotics, and systems modeling. Mechanical engineers are employed in nearly every kind of industry. For more information, visit the American Society of Mechanical Engineers (ASME) at asme.org. A co-op is a great way to get hands-on work experience in the engineering field, get paid, and earn credits toward the degree. Plus, employers prefer candidates with proven industry experience, so a co-op is a great foray into possible job opportunities and gives you a leg-up on the competition when you graduate. A co-op is a structured program with specific requirements for the student and employer. Milligan will help place qualified students in cooperating engineering and technology firms throughout the world. Students doing the co-op program will require an additional year of enrollment (5-year plan). Engineering is more than applying math and science to solve problems. Engineering involves innovation and analysis and integrates many disciplines in order to develop successful technological products or systems. Milligan engineering students will receive a rigorous preparation in science and mathematics in the context of the Milligan liberal arts curriculum. This foundation enriches engineering and technology components with an understanding of culture, arts, and the humanities, and encourages students to see how all subjects—and technological solutions—are interconnected. A NASA Fellow, Fulbright Scholar, West Point professor, and a lead adviser for the United Nations and U.S. Dept. of Energy. 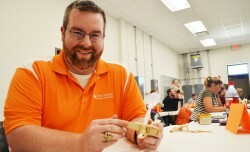 Milligan’s engineering faculty are among the best. And they’re here to teach you how to be the best. The entire engineering program is offered on the Milligan campus in Northeast Tennessee — there is no need to take classes at another school. Located in the Phillips Building at Milligan, the new engineering labs were completed in January 2016 and include Applied-Specialization Labs for hands-on experimentation and class discussion, the Multi-Disciplinary Design Labs for student capstone projects, and the Makerspace Lab. At Milligan, engineering education provides multiple opportunities for students to practice hands-on design in a multi-disciplinary environment. Read about our new facility here. Come visit us and tour the new facilities! – Rich Holder, CEO of NN Inc.
Our inaugural class of 25 engineering students started classes Aug 17! They jump into general physics, calculus, chemistry, and general education classes. 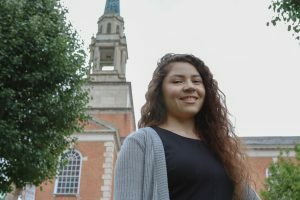 They also will take Engineering from a Christian Worldview, which is unique to Milligan and helps them learn about the field and vocation of engineering and consider the Christian perspectives on the purpose, integrity, discernment, service, and value of the field and vocation of engineering. Our latest hire is Dr. Jeffrey Giesey, who is currently associate dean at the Russ College of Engineering and Technology at Ohio University. He will teach electrical engineering at Milligan starting in fall 2017. In addition to an extensive background in electrical engineering and bioengineering, he was a Fulbright Fellow in 2001 and has received numerous awards and prestigious grants. He holds a bachelor’s and master’s in electrical engineering from Michigan State University and a doctorate in bioengineering from the University of Michigan. In addition to his broad classroom and administrative experience, Dr. Giesey also has a deep commitment to integrating his Christian faith into his teaching, which is a distinguishing principle of Milligan. In June, Eastman Foundation made a $250,000 commitment to Milligan’s engineering program. The Eastman name will be attached to the mechanical engineering design lab. Eastman has been very supportive in the development and launching of Milligan’s engineering program. Senior vice president, chief manufacturing, supply chain, and engineering officer Mark Cox said he has been impressed with the program’s curriculum, new facilities, and the faculty being assembled to lead and instruct students. 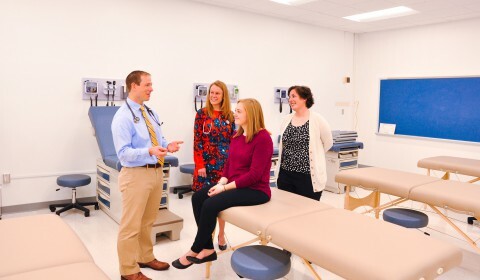 “Milligan produces service-minded scholars who also make quality employees,” said Cox. When Tyler Chambers pulled the pin out, the tension in the wooden arm released and the large, homemade catapult fired, rocketing a tennis ball into the air and down the steep hill. The crowd cheered, giddy from the result. But this wasn’t a summer camp for kids. 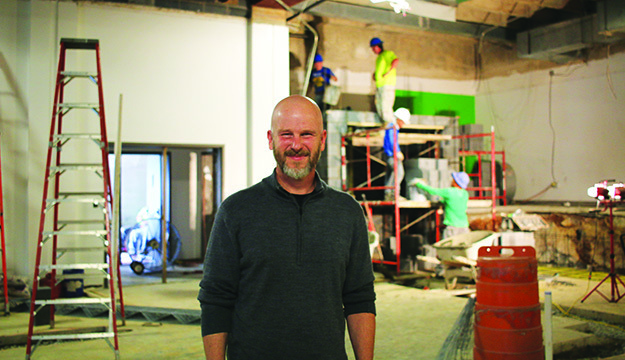 Chambers, a chemistry and physics teacher at Cloudland High School, joined 29 other area educators in June at Milligan’s new engineering facilities located in the B.D. Phillips Building for the college’s fourth Improving Teacher Quality (ITQ) Grant Program. This year, the program provided a week of free training to teachers in how to better engage students in the STEM (science, technology, engineering and math) disciplines. Other activities and lessons included water rockets, water flow measurement, and hydroelectric power. Earlier that morning, the teachers also worked on building a much simpler and smaller version of the catapult out of ice cream sticks and rubber bands. Jeremy McLaughlin, a physics and astronomy teacher at Sullivan Central High School in Blountville, Tennessee, said activities like these could be great for his classroom because they help students understand core scientific principles in a way that keeps them engaged. At one point, when the outdoor catapult fell off its brace, McLaughlin added another important engineering lesson from the project. 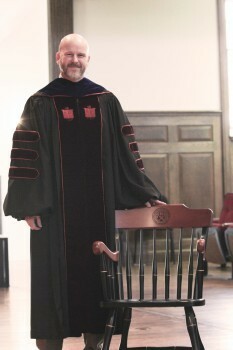 See more pictures at www.facebook.com/milligancollege and look for the ITQ post on June 20. Our new engineering labs, located in the Phillips Building on Milligan’s campus, were completed in December 2015. This summer we will be adding equipment to the Applied-Specialization Labs for hands-on experimentation and class discussion, the Multi-Disciplinary Design Labs for student capstone projects, and the Makerspace Lab. At Milligan, engineering education provides multiple opportunities for students to practice “hands-on” design in a multi-disciplinary environment. degree in mechanical engineering from the U.S. Naval Academy, a master’s in nuclear engineering, and a Ph.D. in mechanical and aerospace engineering from the University of Virginia. Dr. Hampton also holds a master’s degree in theology from Dallas Theological Seminary and is a committed Christian. Dr. Hampton is an excellent addition to our engineering faculty. University with a degree in mechanical engineering. He later served in management positions, including CEO of the Carlisle Company. 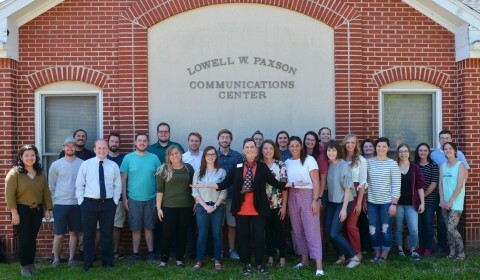 In February, the Board of Trustees of the Southern Association of Colleges and Schools Commission on Colleges (SACSCOC) reviewed and approved Milligan’s Bachelor of Science with majors in Mechanical Engineering and Electrical Engineering. Dr. Harrell just returned from an ABET (Accreditation Board for Engineering and Technology) conference where he is preparing the Milligan engineering programs to meet all ABET objectives in the necessary timeline. Dr. Harrell and Dr. Hampton are familiar and experienced with ABET requirements and the teaching methods required to sustain excellence in engineering education. The programs the faculty have served (Virginia Tech and West Point) are ABET accredited with sustained accreditation compliance. It is of the upmost importance to Milligan that our engineering faculty are experienced and seasoned academicians who have been core faculty members in ABET-accredited programs. More information on ABET accreditation can be found at www.abet.org. 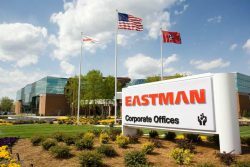 In February, Eastman Chemical Company co-sponsored with Milligan a special dinner honoring regional engineering leaders. Former Tennessee Eastman President Dr. Bob Hart, who attended Milligan’s V-12 program in the 1940s, was honored with the establishment of the Robert C. Hart Engineering Scholarship for Milligan engineering majors. 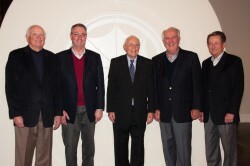 Several current and former Eastman executives were in attendance to honor Hart. Like many high school seniors, Bo Pless was anxious about deciding where to spend the next four years of his life. A Niswonger and Jeanes Scholar from Elizabethton, Tennessee, Bo was talking to big name engineering programs and ultimately decided in March to be part of Milligan’s inaugural engineering class. Of all the engineering programs I researched, Milligan is different in its focus. In a field full of hard data and rigid calculations, Milligan engineering emphasizes people rather than products. You get the calculus and strong technical preparation but the focus is on solving problems and helping people. At Milligan, I’m going to learn directly from the best. Dr. Harrell has written textbooks and curriculum used by Virginia Tech and the U.S. Department of Energy. He’s the lead technical consultant for the United Nations and companies all over the world. He’s amazing. And I can’t wait to meet Dr. Hampton, who has taught at West Point and been a NASA fellow. I’m excited about the caliber of the faculty and their focus on teaching and mentoring. The prospect of entering college and beginning the next phase of my life is exciting in and of itself, but to be doing so in the Milligan engineering program makes me look forward to it that much more. Milligan College is unlike any other school I’ve seen. I will be pursuing a life-long passion in a place that teaches me not only how to be a successful engineer, but also how to be a strong man of faith. Milligan’s program is designed for those who want to change the world, and that is my goal. These are recommendations, not requirements. Students who have completed this recommended level of high school study will be better prepared for the engineering curriculum. Students will be more prepared if additional science and math courses are taken and if the classes are Advanced Placement or College Preparatory level. Some experience with programming language will be an additional benefit. Deficiencies in any of these categories can be overcome; however, the student may be at an academic disadvantage. Engineering is a demanding discipline. It requires dedicated focus, significant effort, and good management of your resources. National statistics show that at the undergraduate level about half of the engineering graduates in the United States graduate in five (5) years, while the other half graduate in four (4) years. There are many factors that come into play in making a 4-year or 5-year decision—things like financial situation, time availability, playing collegiate sports, and the pursuit of multiple degrees. We have a self-assessment questionnaire (click below to download this Excel file) that can help you consider these factors. We strongly recommend completing this self assessment with your family and/or mentors, as these decisions will influence your course load, financial situation, and time required to complete your degree. We would like to provide the support that meets your needs. Please contact Milligan Engineering if you have any questions or would like to have further discussions. Once enrolled, students will be required to meet certain progression gateways and benchmarks in order to progress through the Milligan Engineering Program. Satisfactory progress (a C- or better) must be attained in all of the math-science-engineering courses at the First-Year, Second-Year, and Third-Year Gateways before the student can enroll in the next year’s courses. Each student will be advised by an engineering professor prior to submitting their course requests each semester. This advising time will serve to ensure the student is properly prepared for the next semester and is following the correct path through the program. Contact the Admissions Office for more information or visit admission.milligan.edu/. A $2000/year academic scholarship is available for students declaring an engineering major at the point of application. This scholarship may be combined with other Milligan institutional merit scholarships, for total possible awards of up to $20,000, plus state, federal, and external aid for which you may be eligible. Limited number of scholarships as funds are available. Apply early. To apply, talk to your Admission Counselor and be sure to indicate an engineering major (electrical or mechanical) on your application. Download a list of potential careers in Engineering. Milligan engineering students receive a rigorous preparation in science and mathematics in the context of the Milligan liberal arts curriculum. 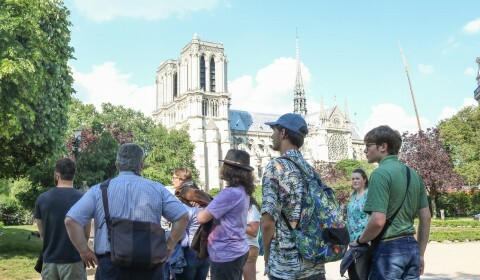 This foundation enriches engineering and technology components with an understanding of culture, arts, and the humanities, and encourages students to see how all subjects—and technological solutions—are interconnected. Small classes ensure a very reasonable faculty-to-student ratio, encourage one-to-one contact between students and faculty, and provide closer attention to student learning, progress, and success. Provide high-quality engineering education to prepare students to be servant leaders that serve industry, community, and public through an integration of Christian faith, technical skills, social responsibility, and a global vision. Be a major talent-base of engineers that serves the tri-cities region and beyond. Provide high-quality mechanical engineering education to prepare students to be servant leaders that serve industry, community, and public through an integration of Christian faith, technical skills, social responsibility, and a global vision. Be a major talent-base of mechanical engineers that serves the tri-cities region and beyond. Provide high-quality electrical engineering education to prepare students to be servant leaders that serve industry, community, and public through an integration of Christian faith, technical skills, social responsibility, and a global vision. Be a major talent-base of electrical engineers that serves the tri-cities region and beyond. A few years after graduation, the Milligan Engineer will have progressed through positions of increasing professional responsibility. They will have a track record of seeking out and meeting new challenges. The Milligan Engineer will be considered reliable by their supervisors and clients, a credible resource by their peers and community, and will be a mentor to junior colleagues. They will have demonstrated impeccable integrity. In all that they do, the Milligan Engineer will have demonstrated that they serve people through considering all aspects of their work.